Stunner stuff from D'Israeli in Stickleback, currently appearing in 2000 A.D.
Join me after the jump for show notes for Wait, What? Ep. 120, won't you? (Yes, there is one this week. I assure you, I'm not pulling an April Fool's Joke on you a week late...OR AM I???? By the way, we offer on-air apologies but let me apologize here for not giving you all an on-site update about last week's unexpected skip week. In the future, I'll try to throw something together to let website-oriented Whatnauts aware that we won't be around. At the end of this 'cast, however, we mention our skip weeks for the next six weeks or so, so feel free to get out your calendar if it will ease your anxiety. What was I...? Oh, right. Show notes! 0:00-16:44: Well, nothing says upbeat like talking about dead people! Graeme and Jeff briefly contemplate the passing of Roger Ebert and -- in a bit more detail -- the passing of Carmine Infantino. Also included in the discussion (but still alive as far as we know): Terry Austin; Bill Sienkiewicz; John Peele; advocacy v. shrill pedanticism; our own critical failings; etc. 16:44-37:01: And as we skate merrily onto thinner ice: Age of Ultron; the Guardians of the Galaxy Infinite Comics; and a new thesis (All-New Avenging Thesis!) from Jeff about the work of Brian Michael Bendis. And more discussion about the concept of naive cynicism. It could well be very frustrating for those who have to participate in this conversation via comment threads (or brought it up in the hopes we would stop talking about this kind of thing) but there are some surprising turns in here, I think. 37:01-50:10: The first of three things Graeme really wants to talk about this week: (1) Zombo by Al Ewing and Henry Flint (currently appearing in 2000 A.D.), which also includes praise for Stickleback by Ian Edginton and the amazing art by D'Israeli, and Dandridge by Alec Worley and Warren Pleece. 50:10-54:41: By contrast, Jeff thought he would love Agent Gates, the super powered quasi-steampunk graphic novel parody of Downton Abbey by Camaren Subhiyah and Kyle Hilton. 54:41-1:14:14: The second of three things Graeme wants to talk about: (2) Stormwatch #19 by Jim Starlin. Graeme is perhaps not so pleased. We also end up talking a bit about The Inhumans over at Marvel and openly pray for the return of HEX (which probably isn't usually referred to in all-caps like that but it gives you an idea of our fervor.) 1:14:14-1:14:49: Intermission One! (And what is probably my current favorite of Graeme's stinger tunes for us.) 1:14:49-1:24:04: Graeme has been on NPR! Jeff has left a glass of water in the next room! And Graeme's third thing he really wants to talk about this week: (3) Marta Acosta's She-Hulk Diaries. 1:24:04-1:37:52: But Jeff, all he wants to do is talk about Giant-Man. Giant-Man, Giant-Man, Giant-Man! 1:37:52-1:46:53: And Graeme reminds Jeff that Avengers A.I. which is coming soon. And then we spoil Age of Ultron #3. (You're welcome.) Also included in the conversation (and filed under "Stuff Jeff doesn't know until Graeme tells him"): Marvel's next event and the death of Formspring. (I actually had just a comma there originally since I thought there might be more to the list, and was tempted to leave it just so it would look like the title of Marvel's next event was "The Death of Formspring.") 1:46:53-1:56:41: "Jeff, tell me about a comic you liked!" Jeff's answer? Season Five of Mad Men. Includes the phrase, "the Thor vs. Hulk of my heart." Bonus topic: What do we read comics for? (And for extra credit, guess which one of us really hates that question.) 1:56:41-2:14:07: Graeme read DC Showcase Presents: The Flash, Vol. 4, so we get to talk more about Carmine Infantino, as well as Ross Andru and Mike Esposito, our favorite things about Infantino's art, whether Neal Adams destroyed comic book art, Dave Cockrum, and more. [Note: Jeff mistakenly says Dan Day at least once here when he means Gene Day. Oy.] 2:14:07-end: Closing comments! Apologies, promises, blood oaths, and so the cycle is complete. And lo, the cycle shall start again! It's possible (yes, really. Highly possible, even) that this podcast is already on iTunes. But, as always, we make it available here for your delectation. Are you not delectated? 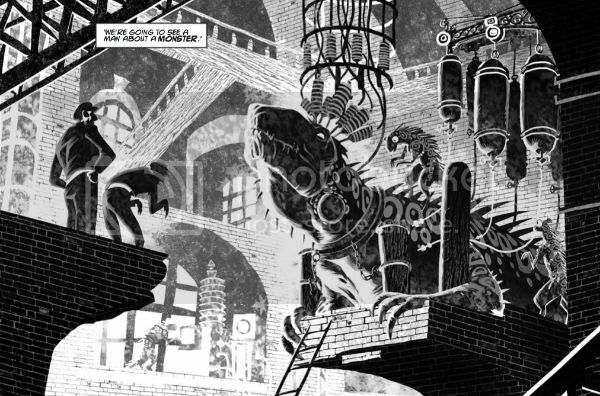 Oh, and don't forget to check out Abhay's thoughts about Scarlet #6, or John K (UK)'s thoughts on Robert Aickman, or any of the other material by people who don't have to read the coattails of a talented and charismatic Scotsman. And, as always, we thank you for listening and hope you enjoy!